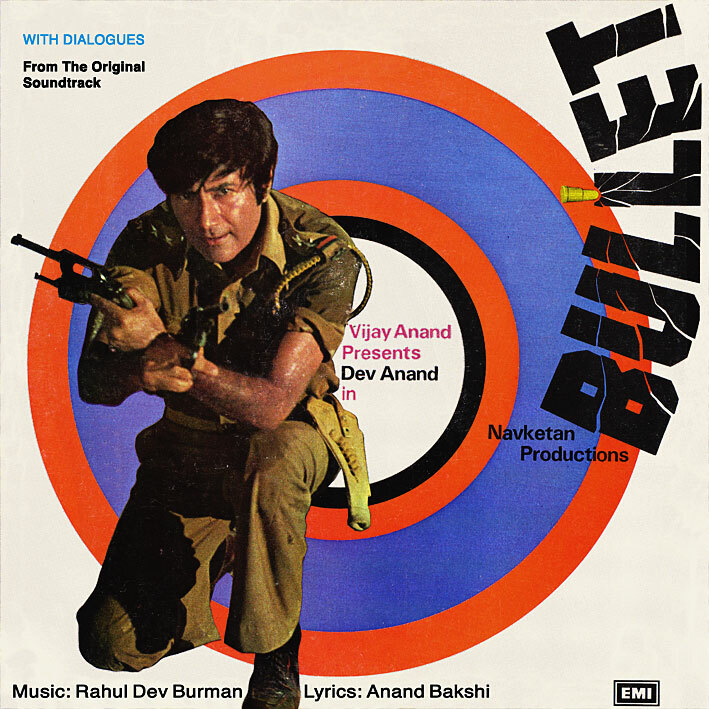 'Bullet' [review] wasn't among the first Bollywood soundtracks I obtained, but it was one I really wanted from an early stage. Rumours had it that this was the ultimate RD Burman score, encapsulating everything his reputation as an ingenious sonic adventurer was based upon. And it had a lovely, mod/pop art flavoured cover. Such things appeal to me. Copies I came across tended to be very high-priced though, and I generally won't have that, so it took a while to find. But patience paid off in the end. Was is worth it? Mostly yes. Only four tracks, containing large portions of dialogue and some disjointed bits of background music, but once you get past that there's plenty to savour. The songs themselves are great, containing the melodies, hooks and clever details one expects from Burman at his prime. 'Bullet, Bullet, Bullet' and 'Chori Chori Chupke Chupke' benefit additionally from having cool instrumentals tagged onto the ends of them. My (and seemingly other's) favourite track on the album though is the wonderful, psychedelic sounding 'Peene Ke Baad Aati Hain Yaad' (second half of the YouTube clip); Asha Bhosle's voice run through a voice manipulator certainly works for me. C'mon PC give us more sneak peaks for the future on flickr... cant get enuf of your stuffs!